When Trisdee first showed me Bundit's CD with its bizarre packaging, I assumed that this was all about marketing. I assumed that no one had done anything illegal, but that the whole thing was symptomatic of the ethical quagmire that is marketing in this country. I believed Trisdee to be a hero for bringing this matter out into the open because it provided an opportunity for us to discuss these ethical questions in public with a clear example in our hands of "how NOT to market a cultural product." Nevertheless the plot has thickened. There's more to this than meets the eye. I want to start this blog by saying that I will present what I've seen with my own eyes, make no judgment or accusation, and leave the matter in the hands of people with the qualifications, time, and inclination to deal with it. I want to direct people's attention to a different CD produced by INSPIRE MUSIC and K Bundit. It's called "Mozart in Love". Like the CD "Heavenly Music" which Trisdee has discussed earlier, it has all the packaging problems discussed by Trisdee: the misleading outisde, the sealed - and concealed - small print attributing most of the performances to Dr. Keith Salmon and the RFCM Orchestra. Fine. On the surface, it's just another example of the things Trisdee discussed on his blog. The problems begin when you insert the CD into your computer. It opens automatically in iTunes, and according to iTunes, the following is the content of the CD. The reason that iTunes reveals this is that we now have universal track IDs on every track produced by a legitimate CD company, and the IDs stay with the tracks no matter where they go. You will see that among the tracks listed are tracks conducted by numerous conductors and played by many orchestras. Some are from the Baltic States and may well be recordings from the Soviet era in which the rights situation may be quite obscure since during the communist era, the Soviet Bloc played by its own copyright rules. But THREE of the conductors are by any standard "world famous" - Neville Marriner, Georg Solti, and Karl Böhm. If those tracks are actually the tracks they purport to be, then there is no longer a case of deceptive marketing, but a far more serious case. But who is responsible for these tracks, and are they actually the tracks that iTunes says they are? So far, I have only personally tested one of the tracks, the Nozze di Figaro Overture which is the last one listed. Dr. Salmon has samples on his website, www.royaltyfreeclassicalmusic.org, of all his offerings. Anyone can download these samples, so it was easy to compare Dr. Salmon's recording of this piece with the recording on K Bundit's CD. They are not the same recording. Therefore, the attribution of this track on the packaging of K Bundit's CD is incorrect. 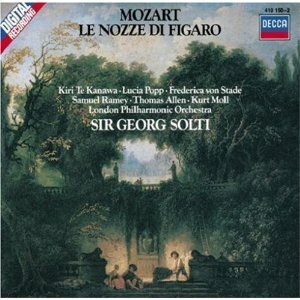 It is also easy to find a legitimate copy of the Solti recording of Le Nozze di Figaro. It is an extremely famous recording produced by Decca/London, now a subsidiary of MCA. I downloaded (and paid for) the recording, and compared it t the track on K. Bundit's CD. It is a 100% match. The question we must ask is ... how could such a thing happen? Why is a performance by one of the world's greatest conductors present on a CD that is (a) attributed in small print to another person and (b) packaged to convince the casual buyer that it might have been conducted by yet another person? (c) K Bundit knowingly used the Solti recording and attributed it to Dr. Salmon. Of these possibilities, I think most would agree that (a) is the least likely. I have not tested any of the other tracks and haven't been able to compare them with Dr. Salmon's tracks for the simple reason that, after sending that email to K Bundit which was quoted on K Bundit's blog, Dr. Salmon then cancelled my membership in royaltyfreeclassicalmusic.org and it is no longer easy for me to access his samples. I suppose I could join under another email address, but let me honest: this is a can of worms I do not want anywhere near me. To be honest, I am afraid to test any other tracks because I don't want to discover any more anomalies. I make no accusations. Anyone who owns or buys a copy of the CD "Mozart In Love" will be able to test these facts for himself and will be able to draw his own conclusions. I have sent a report of a possible rights problem to the piracy department of MCA, and they have responded to let me know they're investigating the CD now. They will determine the legal status of all this. Meanwhile, anyone who wants to investigate this on their own is free to do so and to draw his own conclusions. A part of the above recording has been independently confirmed to constitute one of the tracks in Inspire Music's "Mozart in Love" CD. Great Job dear Somtow and Trisdee! Even it is Thailand it is important that international standards and laws are observed. If K Bundit prefers to destroy his career, he really did a great job by choosing greed over talent! Wonder if there will be legal consequences as actually customers got cheated into buying a products which is not as visible on the outside. I would be more than p***** off if I would have fallen for that money trap. "I don't know if Bundit Ungrangsee intentionally or unintentionally misled his fans into believing that he conducts all the tracks on his CD. Let his fans decide." "Let me lie if I want to and let people be the judge. If I dupe them well enough I win." Forget the rest of the letter. Dear Classic Music ... I don't think you understand. Anyone can change the iinformation on their personal iTunes, but they can't change the track ID on the original CD. When you create a CD master, you can alter the track ID, but for some reason, on this particular CD, some track IDs were not altered. I confirmed that the Solti track was genuine by comparing the entire track with a copy of the actual legal recording which happens to be a very famous recording of the work. The identity of the track on "Mozart in Love" and Solti's recording on Decca is absolute. The question is not whether this is true, but who is responsible. That is what the legal department of MCA is trying to find out.